Member of Parliament, Faumuina Wayne Fong, has questioned why the Urban West Constituency was created only to be removed again. The M.P. made it clear he welcomes the realigning of boundaries between constituencies. However, he is appealing to the Government to ensure that once the proposed amendments are approved in the Electoral Constituencies Bill 2018, that there shouldn’t be any more variations to the electoral boundaries. He raised his concerns in Parliament. The Bill will remove the Urban seats so that the constituency Faumuina represents ceases to exist. The other seat is currently held by the Minister of Works, Transport and Infrastructure, Papali’i Niko Lee Hang. It’s something Faumuina is very much aware of. “Today (Monday), Mr. Speaker while I stand before you all, I stand without a constituency,” he said. “I am thankful to the Prime Minister that while they have removed my constituency, I am still here." “This constituency should have never been created in the first place." “Looking back, the creation of Urban West Constituency was in affect seven months after the amendments were approved in Parliament back in March 2016." Faumuina then told a story about a king who was looking for a qualified bachelor to marry his daughter. Faumuina referenced himself as the “Vaigaga kid who was pushed into the waterfall when he was not prepared, but I made it to the other side." 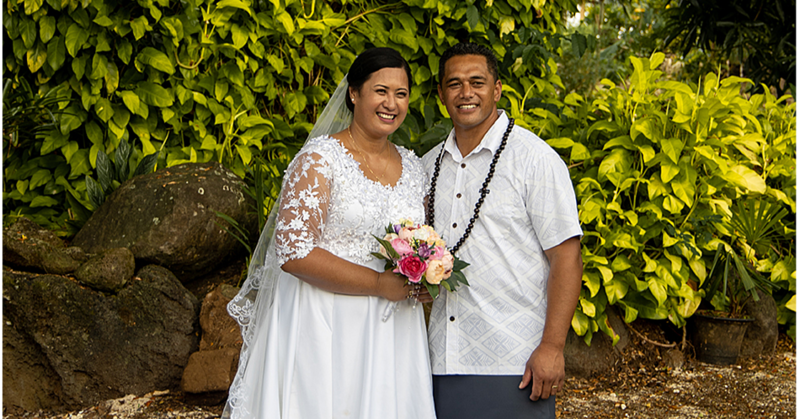 “The king told me, Faumuina take my daughter’s hand in marriage, but I told the King I do not want the marriage proposal." “However I know who pushed me into the waterfall." “This story clearly depicts how I got into Parliament. My question is who proposed to add Urban West only to be removed again?" 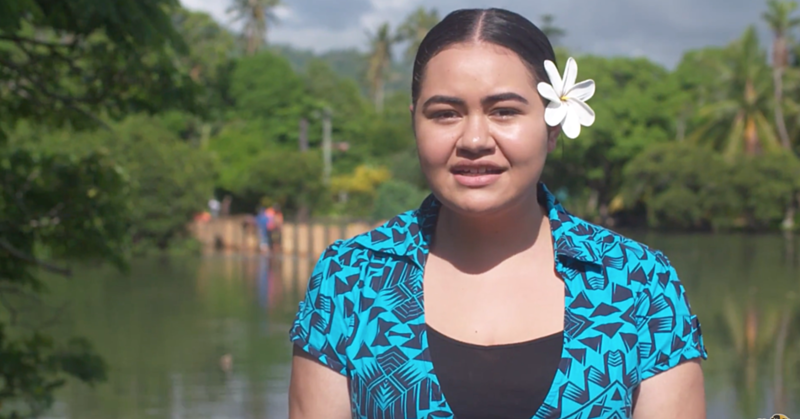 Faumuina also echoed the explanation given by Prime Minister Tuilaepa Sa’ilele Malielegaoi that the electoral boundaries do not have a bearing on Samoa’s culture and traditional boundaries, and that these are only voting districts, nothing more. 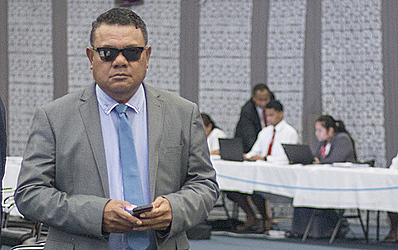 Outside of Parliament, Faumuina told the Samoa Observer earlier that the law was created at the time to cater for the needs of certain individuals who are not here anymore. According to Faumuina, in July 2016, the law passed and the general election took place in March. “It took only nine months then this law was implemented and now they are changing it again." “And like what the Prime Minister said, this specific law was one of the potholes the Government is trying to fix,” he said. “It hasn’t been two years since the Bill was passed and now they are changing it again." “Again like what the Prime Minister had said, the changes of this measure is a like a brand new road, no matter how new it is, once it rains, it will leave holes in it, just like this law it has holes in it." “The truth is this Bill should have been passed in the first place,” said Faumuina. The Bill has been approved in second reading and has been tabled with Parliament Committee. The Bill proposes a raft of changes to the electoral laws including increasing the number of electoral constituencies from 50 to 51, the removal of urban seats and redefining of voting boundaries based on geographical location. This means Leauva’a and Salamumu will no longer vote in Savai’i. 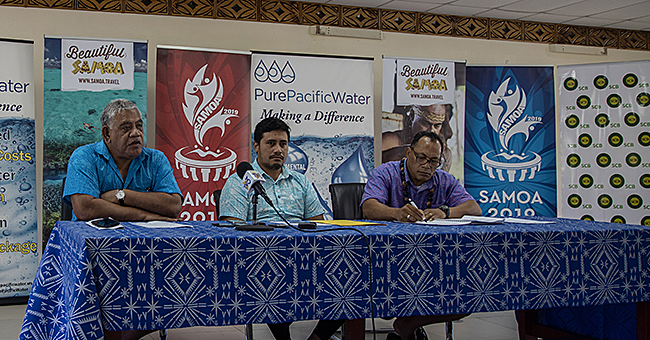 They will instead be allocated to different constituencies in Upolu.